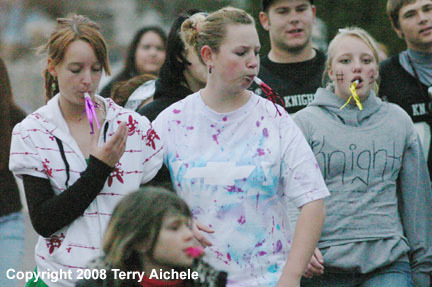 Irrigon High School students and staff take part in the noise parade from the grade school to the high school field on Thursday night. 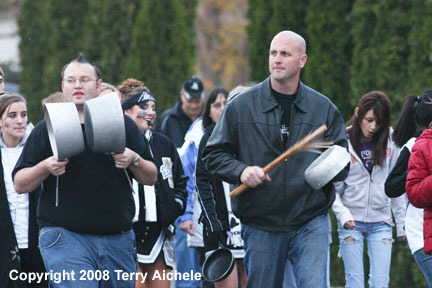 IRRIGON - Irrigon celebrated spirit week during the last week of October. 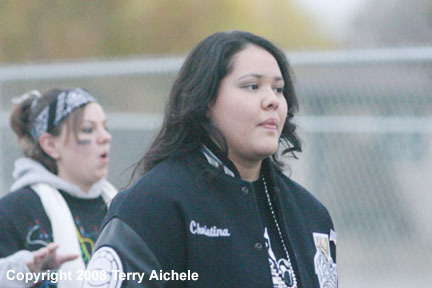 Among the activities was a noise parade on Thursday night just before the soccer match between Umatilla and Irrigon. Earlier in the day a new suit of armor was unvailed at an assembly for the Irrigon Knights. 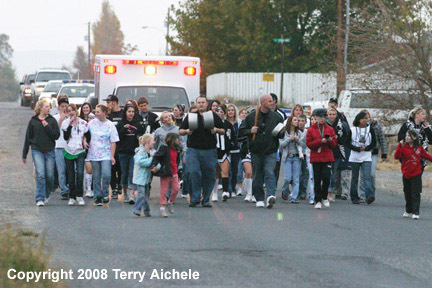 The noise parade started about six p.m. at the elementary school in Irrigon and made its way to the high school field with sheriffs cars and an ambulance taking part in the procession. 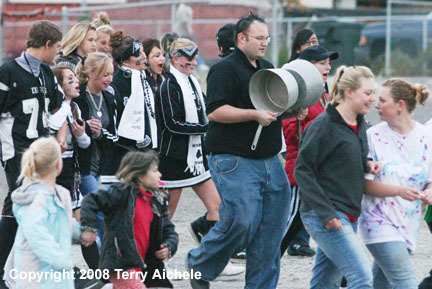 LEFT - The Irrigon noise parade makes its way towards the high school field. RIGHT - A number of adults including school staff and parents took part in the parade. LEFT - A variety of noise makers were used by participants in the parade. 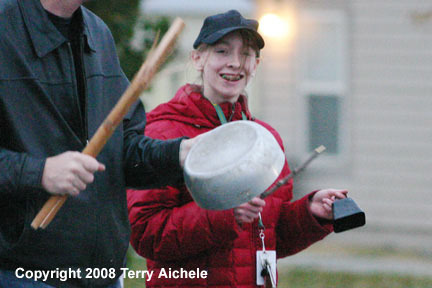 RIGHT - Pots, pans and cowbells were among the noise makers used by people in the parade. LEFT and RIGHT - Cheerleaders and football players took part in the parade. LEFT - A student playfully moves to pull a whistle out of friends lips. RIGHT - At least one participant had her camera with her. 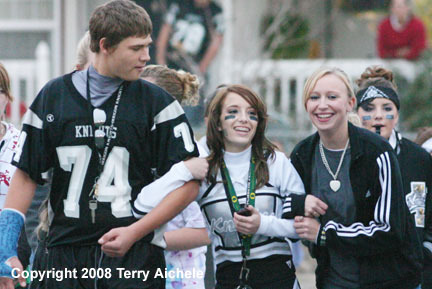 LEFT - Three friends including a football player and a cheerleader march in the parade. 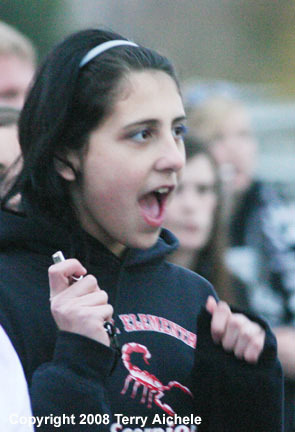 RIGHT - A participant in the parade holds her whistle while she yells out a cheer during the parade on Thursday. 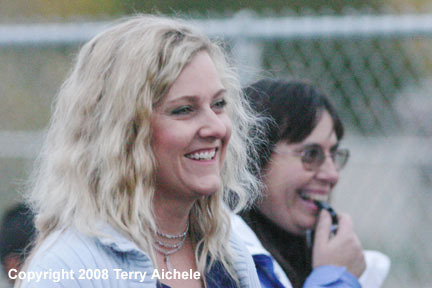 LEFT - Jennifer Matlack was one of the adults in the parade. 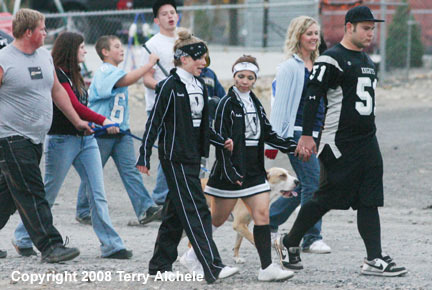 She walked with her daughters Steele and Cheyanne. 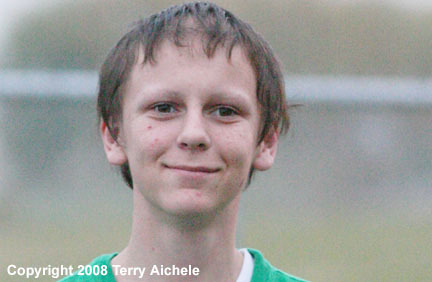 RIGHT - A student approaches the sports field.